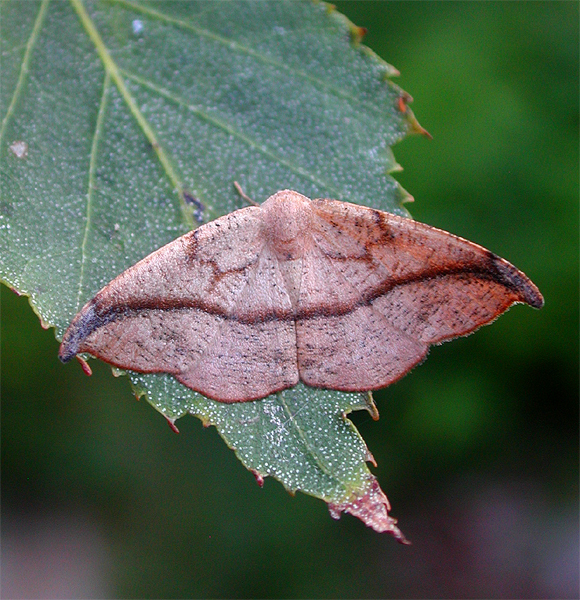 I had mistaken this for a hooktip (drepanidae), but nope, it's an "inchworm" (geometridae) with hook-tipped wings. Go figure. * Thanks, Andrew Block for the ID!